Tu B’Shvatmarks the end of winter and the beginning of summer in the Northern Hemisphere. 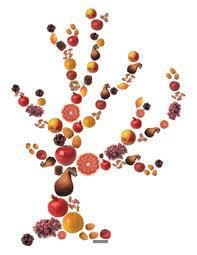 Jewish people have always considered fruit trees to be a special kindness from God. In 70 CE the second Holy Temple in Jerusalem was destroyed, and the Jews went into exile all over the world. Since that time Jews have sought to reconnect and bind themselves to the land of Israel. Each year on Tu B’Shvat we celebrate by eating fruits and nuts grown in Israel, such as dates, figs, grapes, olives, and pomegranates. In present day Israel, Tu B’Shvat is marked by field trips and the planting of seedlings by school children. Just as a tree needs to have strong roots in the earth to survive and eventually go on to bear fruit, so too should a child be rooted in the beauty and wisdom of our tradition. In many ways, the timeless beauty of the tree and the tenacious strength of the Jews create a perfect spiritual marriage. We also mark this festival in Australia by planting trees.